Silkara Empire Pole Swags will create a striking focal point in any room. 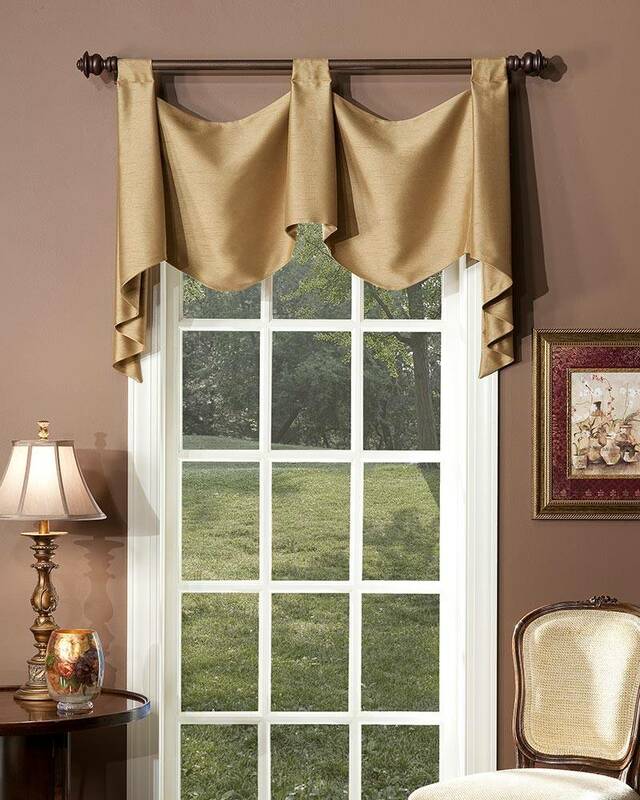 Available in 14 fantastic colors, including neutrals, pastels, and deep jewel tones, this elegant window treatment features two side jabots and one or more center trumpets depending upon the width of your window. Designed to be hung on a wood pole or decorative rod, Silkara Empire Pole Swags are available in 13 widths for windows 32" to 115" wide. Handcrafted in our Pretty Windows workroom - in the USA.